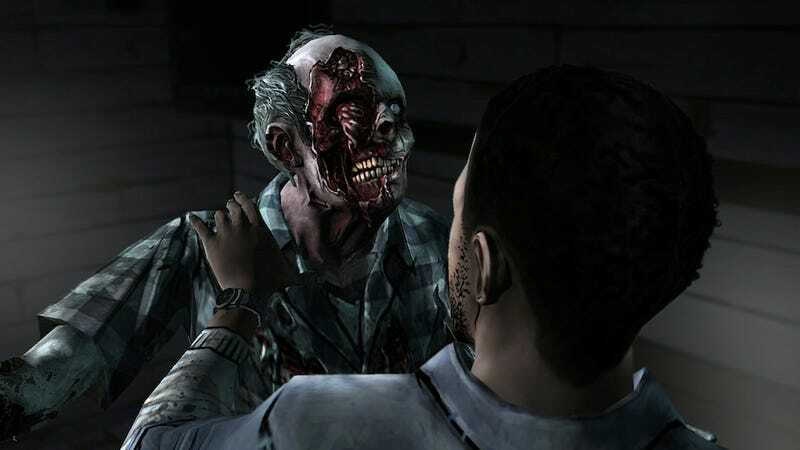 Telltale's Walking Dead adventure games tell a really great story. They also tell an awfully glitchy story. Save-game-erasing glitches almost ruined my experience with the game a few months ago, and I'm not the only one. Lots of people have asked for their money back. ...We've pretty aggressively patched every platform to try to get as many save file issues fixed as we can. I think what's up there right now is completely patched, so that you shouldn't get any save file issues with what's live now. We've taken all the feedback that people have given us. Honestly, we're just working on solving the problems and getting the updates up as quickly as we can. But it's not like we can give an easy, pat answer that says, "This is the issue. This is what you do to fix it." Which is what everybody wants. Instead, we're telling people what we're doing, which is we're trying to understand the problem. We're trying to figure out where it's coming from. We're putting patches out to address it. We'll let you know as soon as we have the patch. I think "We'll let you know as soon as it's patched" doesn't help the person who just lost their saved game. I think in season two, we're going to be a lot more diligent about making sure that part of the system can handle everything that's going to happen. Now we know how people are going to do this and how they're going to use this and how it's going to appear to people. I think we'll have some good systems in place to make sure that it's great in the next season. For the full interview, go check out RPS.